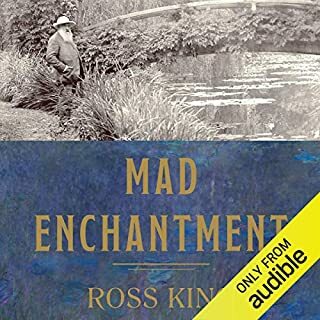 Ross King is always a good story teller although in this case the tale is less about Monet and more about turn of the century France. 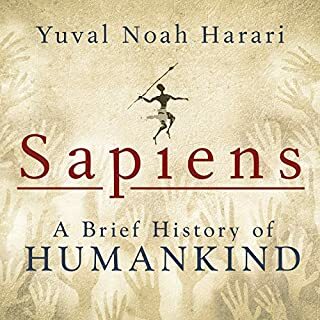 The title "Sapiens" (knowing) suggests a text that will investigate new ideas and observations on the development of humankind. This is far from what you will hear. This book is little more that a telephone book of historical events that anyone with a history background already knows. The book as no thesis, no individual point of view, no illuminating ideas of any kind. In the opening the author states that there are three great moments in history, the cultural, the civil and the rational. But they are not heard from again. If this were the work of one of my students I would turn it back for lack of personal insight. 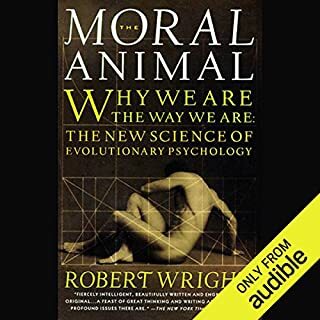 Much of the text is devoted to the life of Darwin, There are no small number of bios that deal with Darwin's life in a more scholarly fashion. The rest of the text is sheer babble. The narrator's voice recalls a comic from my childhood who played a scholar that babbled fancy words that meant nothing. I have only begun listening - about the first two hours. But this is one of those recording where I ask myself - "How do these people get their jobs?" While the woman's voice is clear and eloquent, she has long, annoying pauses between each sentence. And each sentence she begins starts with an audible gulp as though she needs air. Do these people not learn the fundamentals of breath control and vocal delivery? Her Italian ( She's English) is also stereotypical laughable British Italian. For her "putti"
( cherubs) is pronounced "putty." The text is the saving grace. Tantor audio editors have demonstrated on numerous recording their inability to recognize such things as faulty pronunciations of either English or foreign words. This recording takes them to another dimension of incompetence. Whoever allowed the author to be his narrator should be fired. 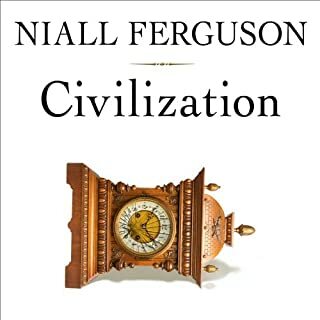 Ferguson's petulant and even scolding voice is bad enough, but his juvenile voicing in what he thinks to be the voice of the person quoted is nothing short of an embarrassment. This is not a children's recording of Frog and Toad are Friends. The narration is such that I find it hard to concentrate on the already shot gun approach to the text itself. Spare yourself this one. Milan, 1496 and 44-year-old Leonardo da Vinci is in a state of professional uncertainty and financial difficulty. 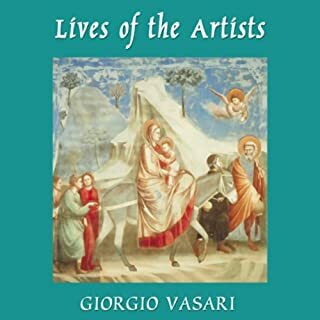 For 18 months he has been painting murals in both the Sforza Castle in Milan and the refectory of the convent of Santa Maria delle Grazie. The latter project will become The Last Supper, a complex mural that took three years to complete on a surface 15 feet high by 20 feet wide. He had never attempted a painting so big, and had no experience with fresco. Once again Ross King takes us on another adventure to the world of the Renaissance. 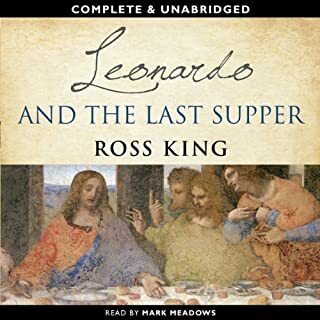 While the subject of the Last Supper is indeed far more limited in scope than Brunelleschi's Dome or Michelangelo's Ceiling, Ross expands beyond the horizon of the refectory wall to the limitless vistas of Da Vinci's world. I can only say that I wish he would have gone even further. The narration is also quite good. I'm on my third listen. A true-life thriller about the journey of one of the world's most precious manuscripts - the 10th-century annotated Hebrew Bible known as the Aleppo Codex - from its hiding place in an ancient Syrian synagogue to the newly founded Israel. Using his research, including documents that have been secret for 50 years and interviews with key players, AP correspondent Friedman tells a story of political upheaval, international intrigue, charged courtroom battles, obsession, and subterfuge. As someone whose academic background was spent in great measure working with ancient manuscripts and as one who has a great interest in cultural history The Aleppo Codex was not what I had anticipated. The Aleppo Codex considers little about the manuscript as manuscript. One of the few compelling notations is that the massive codex is the work of one hand. 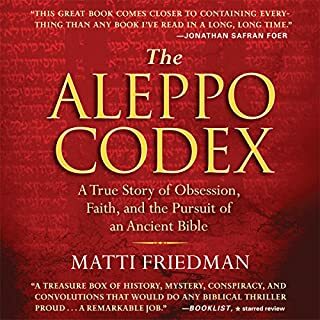 For the most part Friedman's narrative seems to view the Aleppo Codex as an image for Zionism wherein the image of the return of a burned, scattered and ancient pages to Jerusalem is rather evident. While Friedman's direction is certainly valid it is not what I had expected. Perhaps I should have been more attentive to the subtitle. Reviewing this text presents a somewhat perplexing dilemma: how to distinguish my response to the text itself and my response to the portrayal of the subject, Julia Child? This is now the third life of Julia Child. In no small measure,"Dearie" is a retelling of the two earlier works, "Appetite for Life" and "My Life in France." I suppose therefore that redundancy in the present bio is to be expected. The two earlier accounts however, were written before Julia’ passing, and so it do not contain the poignant final chapter of "Dearie." I’ve listened to "Dearie" no less than three times and I have gone back to review the other two texts as well. I find it curious to hear what Spitz includes and does not include. 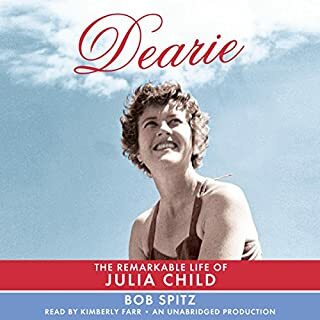 One odd difference is that the Julia of “My Life” eventually received a postdated diploma from Cordon Bleu but the Julia of “Dearie” does not. Did Spitz make this adjustment for dramatic effect? And if so, are there other details in his account that also have been adjusted? Moving from the text to the portrait of Julia, Spitz’ biography confronts the reader with a Julia of two sides. While the reader coddles to a women of ostensible charm there seems to hide beneath the smile a very self-possessed ego intent upon control. While we are enjoined by a free spirit who dismisses artifice, we read of woman whose vanity calls for a face lift. While we delight in hearing of a marriage that united two unique individuals in a lifelong common pursuit, we find that they had separate bedrooms in Provence and in Boston. The narrator also seems to tell the listener certain details that “passent sous silence.” Details were the listener must interpret between the lines. When we hear that Paul writes to his brother “ between us girls.’ or that Paul was accused by the McCarthy mob as being homosexual, or that Paul was fastidious, moody and disagreeable and that he vehemently disparaged gays, the listener begins to suspect . The same question begins to work its way when it comes to Julia. From her tomboy days as a child to her awkward gestures in her television kitchen, it would be difficult to set up Julia as typically feminine. The author’s account of the marriage of Julia’s equally awkward sister, Dort, to a known gay man seems to suggest a parallel. Over these situations looms the dark shadow of Julia’s complete lack of identification with her father. Whatever her intimate life may have been, there are few who reached out to so many and who opened to them such a rich and engrossing new world, not just in the kitchen but in a richer life experience. Spitz’ account no matter how interpreted, belongs in the library of everyone with a love for Julia and a taste for fine food. A side note. This reading as with so many texts that feature words from languages would have benefited by a reader familiar with the language in question. The problem of correct pronunciation is not unique to this text; it is indeed, endemic in audiobooks. I do not see why the production companies do not secure the help of foreign language diction editors. Another point to Audible: It would be helpful to have a discussion forum for your listeners. Exchange would open new perceptions of the texts. Even when the dauphin’s own mother betrayed him, Yolande of Aragon, Queen of Sicily, fought to save her son-in-law and his claim to the throne. But the enemy seemed invincible. Just as French hopes dimmed, an astonishingly courageous young woman named Joan of Arc arrived from the farthest recesses of the kingdom, claiming that she carried a divine message. Now, on the 600th anniversary of the birth of Joan of Arc, this beautifully written book explores the relationship between these two remarkable women. I cannot say that I found much of interest in this book. The fist half of the text rambles on about Yolande of Aragon. While Yolande has a tale to tell, it is certainly no more and clearly much less intriguing than any other member of the house of Aragon, As to the secret of Joan, there is less to tell. My doctoral work was in French Medieval Literature. I did a great bit with the transcripts of Joan's trial. Goldstone's book references the trial with accuracy but reveals nothing about any "secret." 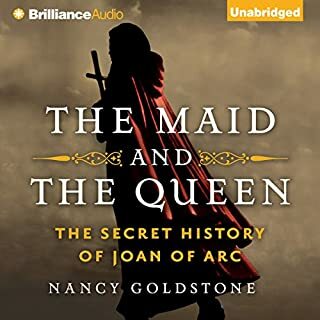 The true "secrets" for which Goldstone does not address are such things as Joan's ability to ride and control a war horse: no small feat, and Joan's military tactics. Was Joan trained and primed by those who needed her to lead their cause? These are but two of the many "secrets" but the author does not address them. I cannot say that I found this text either interesting or informative. MacCulloch offers an expansive study but one that may have benefited by a bit more careful editing. Passages that seem more like footnotes or side thoughts invade anachronistically. The text is very unbiased and straightforward, a proper quality that in this case renders the reading rather monotonous. 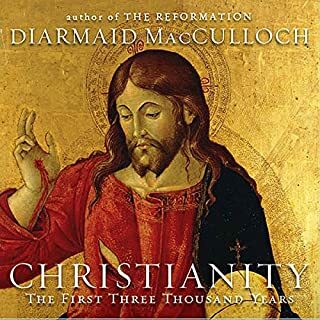 The real problem with this recording, as with so many history texts that demand a reader with an academic background suitable to the material as well as a basic knowledge of Latin and other Romance languages, is that the reading is riddled with mispronunciations. The most irritating is the slurring of the words "Christian" and "Christianity" to "Chris-chen" and Chris-chee-an-i-ty."